Bạn có thắc mắc về ZTL Hotel Shenzhen à? Với khách du lịch muốn ngắm cảnh và cảm nhận Thẩm Quyến, ZTL Hotel Shenzhen là sự lựa chọn hoàn hảo. Chỉ cách trung tâm thành phố khoảng 0.0 km và bạn có thể đến sân bay trong vòng 35 phút. Không gian ấm cúng và gần Lark International Apparel Shop Stephanie Tailor, DongMenTing MeiShiCheng, 地王大厦 làm cho khách sạn này có một vẻ đẹp quyến rũ đặc biệt. Mọi sự cố gắng đều nhằm mang lại sự thoải mái cho khách hàng. Để làm được điều đó, khách sạn sẽ cung cấp các dịch vụ và tiện nghi tốt nhất. Khách hàng có thể tận hưởng các tiện nghi tại chỗ như dịch vụ phòng 24 giờ, miễn phí wifi tất cả các phòng, an ninh 24 giờ, dịch vụ phòng hàng ngày, quầy lễ tân 24 giờ. 132 phòng trong tổng số 8 lầu mang đến cho khách hàng sự ấm cúng và dễ chịu như đang được ở nhà. Những thiết bị hiện đại như tivi màn hình phẳng, vật dụng dọn vệ sinh, giá treo quần áo, các loại khăn, tủ đồ có khoá cũng được trang bị trong một số phòng. Khách sạn được trang bị cơ sở vật chất tuyệt vời, bao gồm phòng thể dục, giúp cho bạn thư giãn sau một ngày khám phá các sự kiện thú vị trong thành phố. 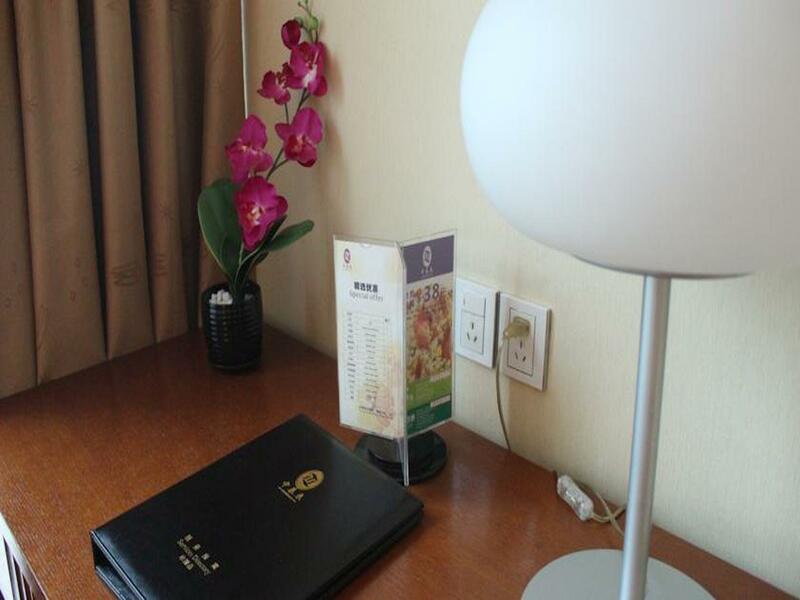 ZTL Hotel Shenzhen là nơi dừng chân chất lượng cao tại Thẩm Quyến. Very good for all general items & equipment. 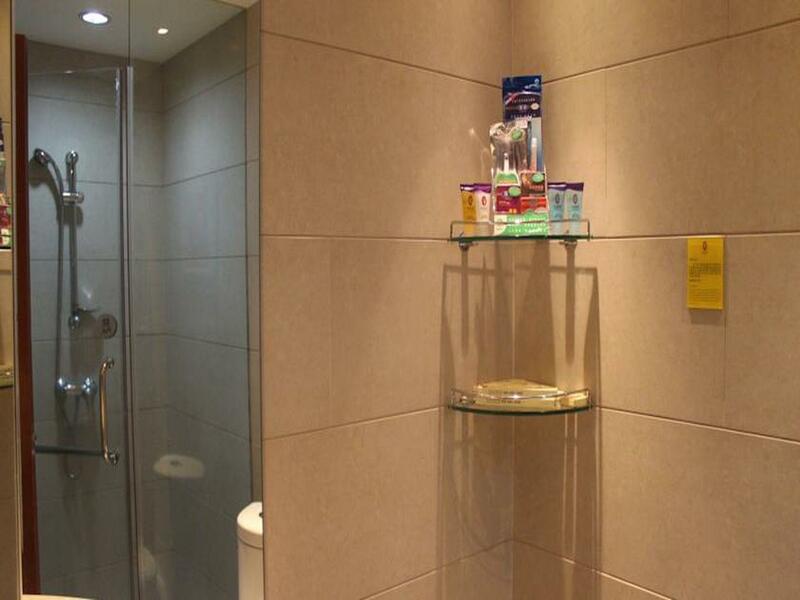 Only toiletry items not fully equipped. I do not know how many stars for this hotel, but if belong to 4-stars, this condition may not acceptable. Will still highly recommended to others who interested. Good location, comfortable room. Hotel is kinda old already, the hallway is kinda dark. Our door lock is unable to open, already inform the staff in the morning, but still not functional when we come back in the afternoon. They come to fix immediately on our second complaint. The location was superb. The metro was just meters away from the hotel entrance. The room we gotten was a last minute grab for a 1 huge room with 2 bedrooms inside. The downside of our room was the bathroom seemed to be leaking water out at the doorway. The carpet at the door was always damp. And 1 of the rooms inside had this garbage stench and we made a few complains at the front desk but their solution was to keep spraying air fresheners. When asked if we can change rooms, the staffs dont answer us and kept talking among themselves. So yea that was the couple downside. But the location is the best point. Walk out for a less than 5 minutes and you're at the street food haven and shopping streets. And it is always crowded at night no matter which day it is. Our second time here and a great location for Shenzhen. Great TV, with lots of movies and overall it's a quiet hotel for China. The front desk guy helped us a lot in English. The bathroom has some faults though so I can't give it full marks. We would stay again. Hotel is not bad at all. But the hotel does not provide heater during the winter time. U can only call to housekeeping to ask for more blankets to cover yourself during your sleep. For those who afraid on the cold at room, suggest not to stay. Close to the Laojie MTR ,just go our exit D and turn left you will see the signboard! Very close to eateries and shopping! It's a good hotel, the location is great and even though its in a busy area it's quiet. There's no way the room is as big as advertised though. Its a decent size but not 40 sq/ft. Also for a good hotel the walls are thin. Luckily I had ear plugs. It was noisy from other guests. The TV system is great though, lots of movies and it's comfortable there. We'd stay again if it was cheaper. Location is good. Just beside a shopping mall and metro station. You may use Exit E to exit from metro station if you're carrying luggages as the exit has lift. Turn right after exiting Exit E and the hotel is right at the corner. Room was clean. Bed is super comfortable to sleep in. We were allowed for early check in at 12+pm. Staffs were helpful and polite. We got late check out at 2pm as well due to late flight. Overall it's a good hotel and suitable for young children too. Great location. You have the popular Dong Men shopping street right next to the hotel. 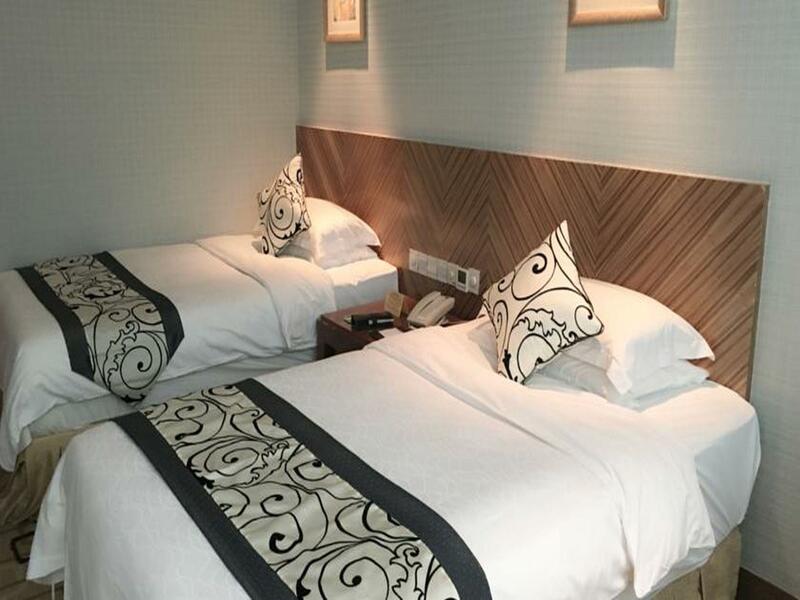 Although the ambiance and facilities of this hotel is not very satisfactory but it can easily overwritten by the great location and staff friendliness. Room is clean and comfortable, just it may need a bit more light in the room as it's a bit dark to me. This hotel is close to the mrt station. Plus point is that only. The hotel doesn't provide baby cot and definitely not ideal for young kids to stay. Hotel breakfast is limited but mcdonalds is just nearby n so does other eatery. The central air conditioning is cool enough but the room smells bad. Better keep the windows open. The location is super convenient for getting to/from the Laojie metro station. And shops and arcades are within distance. Two convenience stores are just next to the hotel main door. Stayed at unit 402 at level 4. Loud noises at night. The sound of chairs dragging on the floor till 3am. I could not sleep due to the noise so I am typing this review. Too much. Called the reception and a staff came. He simply said is not a hotel unit so nothing he can do. So please avoid level 4 at all cost. Btw, I am staying at the most corner unit 402 because my unit is with 4 adults. Great Location to Central Market, LCC and Hong Kong. You can walk to all these locations. Hotel Staff are friendly and accomodating, the room was clean and very comfortable, we did not lack for anything. I highly recommend. The location of the hotel is very close to the Laojie Station 老街站, take literally 1 minute walk from the ground exit. Overall every thing were fine, the facilities look clean and decent, and the room I had was super spacious. But the corridor is a bit dim, and the room is also quite dim even all lights were at max brightness. All these didn't really bother me, but the the under performance of the AC did affect me a bit. Generally, highly recommended. 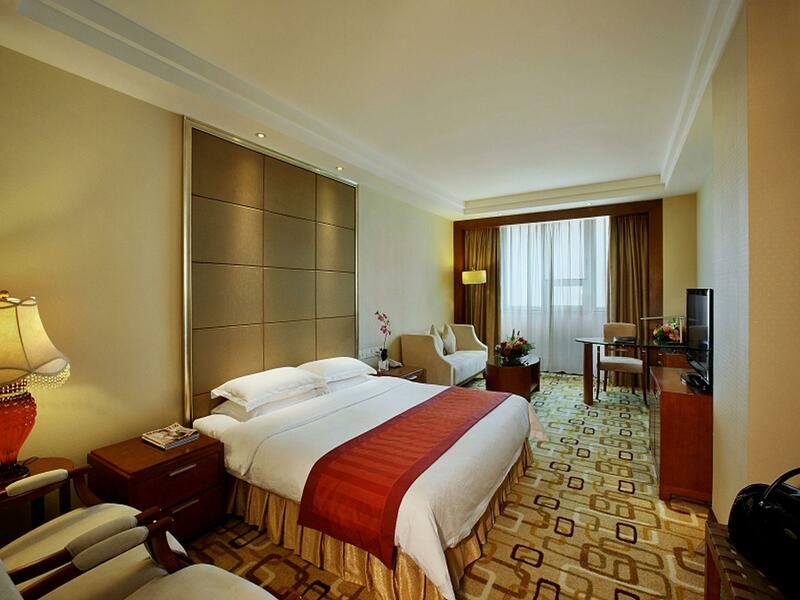 This hotel is recommended for only short stays in Shenzhen. The rooms are generally clean; however, when we came into the room, the TV is not working so we had to wait for someone to come fix it. The furniture + appliances look old. If you're looking for an overnight stay, this is the place to go to. But not for more than two days. Excellent location, just 2-min walk to the Laojie Train Station.